April tuition payment is the LAST tuition. NO TUITION IS DUE IN MAY. Keep in mind, at the beginning of May, Busy Bees Play Program and Early Bee Drop Off fees should be estimated and paid ahead for the month. ALL BUSY BEES PLAY PROGRAM FEES MUST BE PAID IN FULL BY MAY 24. 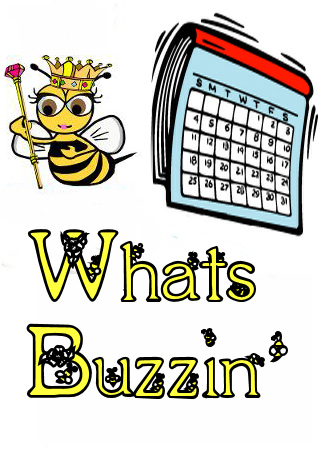 Busy Bees Preschool will follow the Cabell County school snow schedule. If Cabell County schools are cancelled due to inclement weather, we will also be closed. If Cabell County schools are delayed two hours, morning classes will start at 10 AM and dismiss at the regular time. THERE IS NO BEFORE CARE WHEN SCHOOL IS DELAYED. Afternoon classes will operate on their regular schedules. If Cabell County dismisses early, we will dismiss early as well, or cancel afternoon classes. Busy Bees reserves the right to cancel preschool on its own even if Cabell County is having a regular school day. In these rare cases, parents will receive a telephone call or a text from their child’s teacher or it may be announced on television. The mission of Busy Bees Preschool is to minister to the families and children in the area by providing a high quality, developmentally appropriate program in a Christian atmosphere. This program shall address the physical, emotional, social, cognitive, and spiritual needs of the children and their families. Busy Bees Preschool's curriculum is emergent and is based on letters of the week and thematic units, which are determined by each individual teacher. Our class activities provide an even balance of child directed and structured daily routines. We believe that children learn through play but that all children crave structure and rules. Each classroom is structured and scheduled according to each age group's developmental level. Free Play- a time for the child to choose what and where to play. There may be a choice of play dough, painting, coloring, cut and paste, puzzles, blocks, housekeeping, dress and games. Our main philosophy: children learn through play! Circle Time- large group activities involving calendar, weather, seasons, finger plays, music and creative movement, alphabet, numbers, etc. Alphabet Focus- large group activities focusing on recognition, sound, sign language, and writing of upper and lowercase letters. Art Activities- Each child is encouraged to engage in creative activities. Some projects have a determined outcome to encourage following direction. Some may be free form and open ended to encourage imagination. Large Motor Skills- Activities either outside or in our gym will encourage development of large motor skill such as running, jumping, hopping, skipping, climbing, throwing, etc. Story Telling/Read Aloud- Whether it is the child or the teacher telling a story, everyone practices their listening skills. Story telling also increases vocabulary, listening, speaking, creativity, and imagination. Creative Movement and Music- Singing songs and participating in finger plays improves rhythm, small and large muscle coordination, increases vocabulary, and gives children an opportunity for self expression.